Publicity Expert Joan Stewart has created these online training programs for small business owners, nonprofits, and organizations that need to use publicity in traditional and social media to establish their credibility, enhance their reputation, position themselves as experts, sell more products and services and promote a favorite cause or issue—even without a publicist. Finally! 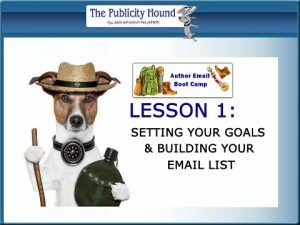 A Step-by-step Program for Authors, Writers, Speakers & Storytellers on How to Build an Email List of SuperFans Who Buy Everything You Offer.